Summary: The Goldview Apartment is located at 346 Ben Van Don in the rising new district of development and commerce - district 4. 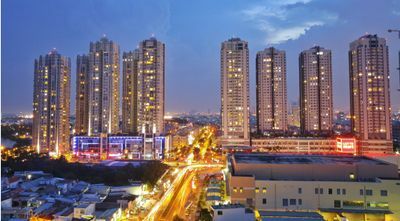 Surrounded by the commercial key point streets such as Hoang Dieu, Khanh Hoi, Nguyen Thai Hoc, The Goldview possesses a geographical advantage. Full Content: The Goldview Apartment is located at 346 Ben Van Don in the rising new district of development and commerce - district 4. 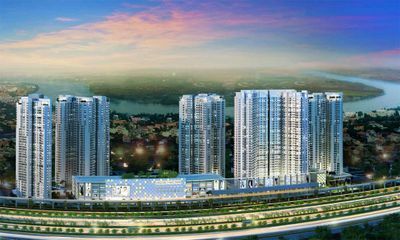 Surrounded by the commercial keypoint streets such as Hoang Dieu, Khanh Hoi, Nguyen Thai Hoc, The Goldview possesses a geographical advantage. Furthermore, The Goldview is located right next to the financial center of District 1, which makes it convenient for financial experts and entrepreneurs working there seeking accommodations. 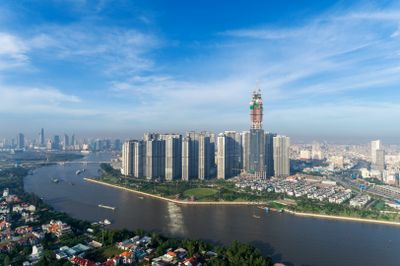 Nearby famous locations include: Bitexco Financial Tower Nha Rong Harbour Ben Thanh Market Takashimaya Plaza The GoldView is designed with two main blocks, one with 27 floors and one with 33 floors, 2 parking basements, and one main elegantly-decorated community hall. The beautiful Saigon River runs through the residential complex, giving all residents breathe-taking river view. A comprehensive list of facilities provided by The Goldview include: Shopping center Swimming pools Fitness center Sauna Parks Playgrounds for kids Supermarket Restaurants Nursery with attentive staff who care about your child’s well-being With the nursery as part of the benefits package, you no longer have to worry about not having time to pick up your child after work, and you can rest knowing your child is having good education in a perfect, safe environment. Security is also tightened with security cameras and 24/7 available security guards.